No men's races were held due to the Depression with the State Associations and the crews unable to justify the expense. Margins: 6 inches between 1st and 2nd and one foot between 2nd and 3rd. All crews within a canvas. This was a very tight race with less than a canvas covering the four crews. Queensland led until 150 yards to go when NSW rowed through both SA and QLD to take the lead and the race by a matter of inches from Queensland and SA a foot further back. The Queenslanders claimed that they were in a borrowed, unsuitable boat, some 40 pound heavier than the others in the race. Such disparity in equipment was common at that time. 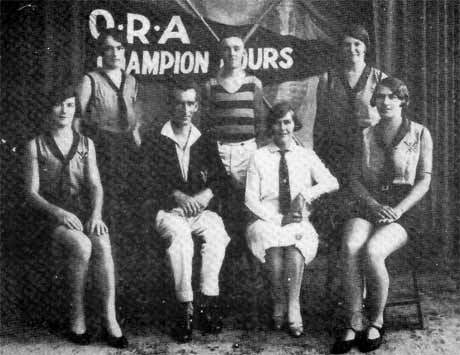 The Queensland crew won their State Championship for three years from 1930-1932. Hampson and Crosset also rowed in the 1934 & 1935 crews.